Ever dreamed of the walkable life? Did you think it was impossible to have a brand new home and still be able to eschew your gas guzzler? Well I have some news for you: You don’t have to flee to the suburbs to have a gorgeous, new build with great schools, wonderful community, and fabulous shopping. In fact, you can get all of that in this wonderful JLD Custom Homes design in Stonewall Terrace. Not only does it have everything you want in a new home — easy-to-love floorplan and transitional interiors — it’s constructed by a CandysDirt.com Approved Builder. This gorgeous property marketed by Briggs Freeman Sotheby’s International Realty’s Gia Marshello is definitely a high-caliber home. As with any house with fabulous finish-out, you don’t want to take any chances with financing. 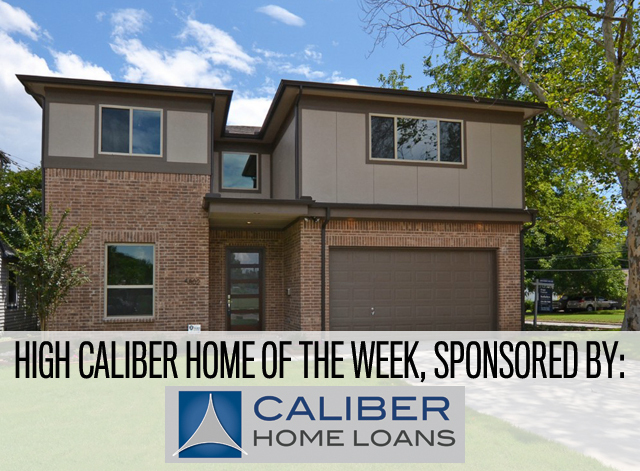 Call Lisa Peters at Caliber Home Loans today to snag the home of your dreams in one of Dallas’ most sought after elementary attendance areas! 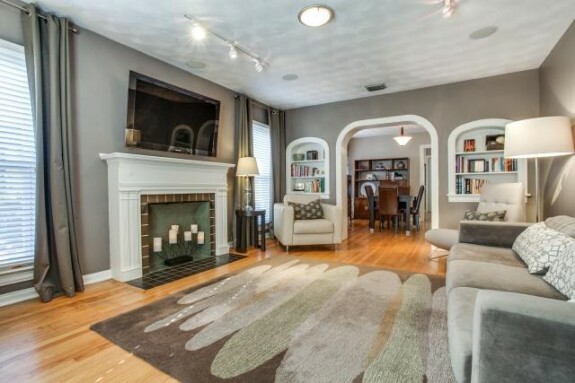 Stonewall Terrace is a fantastic neighborhood. The homes are adorable, there are restaurants and shops everywhere, there are tons of pedestrians and cyclists, nearby mass transit, and there’s easy access to North Central Expressway. But what really makes Stonewall Terrace a fantastic family neighborhood is its namesake elementary campus, Stonewall Jackson Elementary. This neighborhood has pulled the school up by its bootstraps thanks to a super supportive early childhood PTA that has kept the trains running on time. That’s one of the reasons that this neighborhood, which is near the exceptionally popular M Streets, has skyrocketed as of late. But if you think you can’t find a deal in Stonewall Terrace, think again. 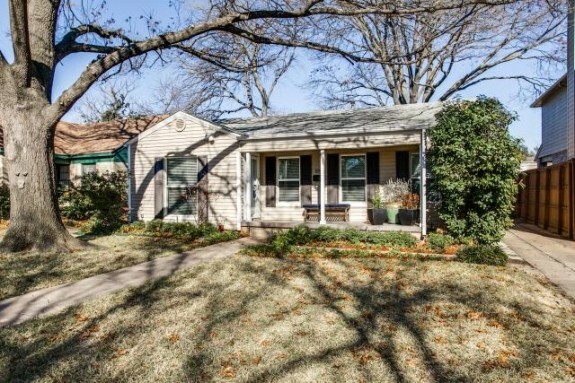 This adorable cottage at 5915 Anita St. is listed by Dallas City Center Realtor Patricia McCrite for $379,500. 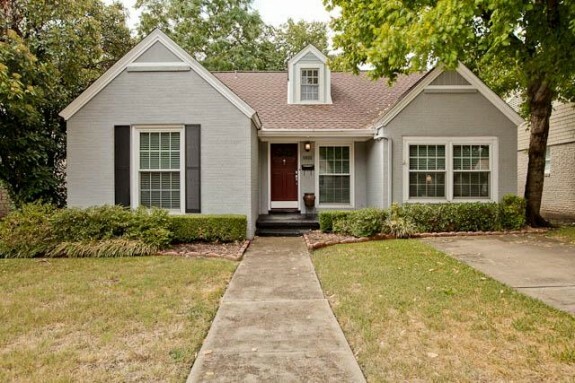 With almost 2,000 square feet, you’d be surprised at the size of this home from the curb. It is so adorable, isn’t it? 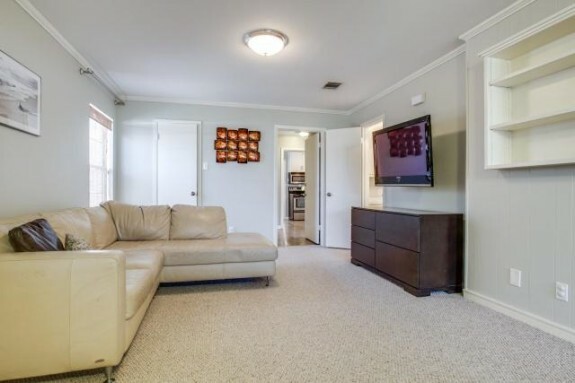 But it’s truly spacious and still private feeling, thanks to the updates this home has received. With beautiful built-ins and a lovely formal living and dining area, you could hold intimate get-togethers in this home. 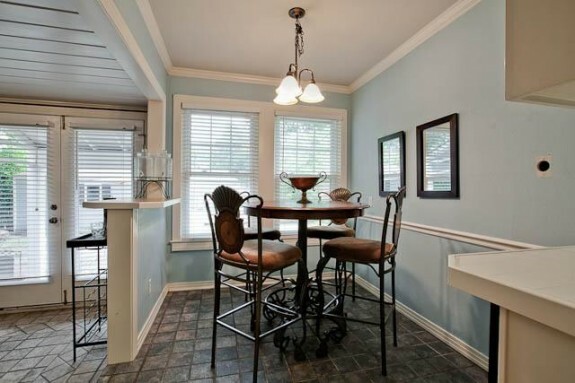 The kitchen is a bit modest, but there’s still room for a breakfast nook, so it’s not too terribly small. 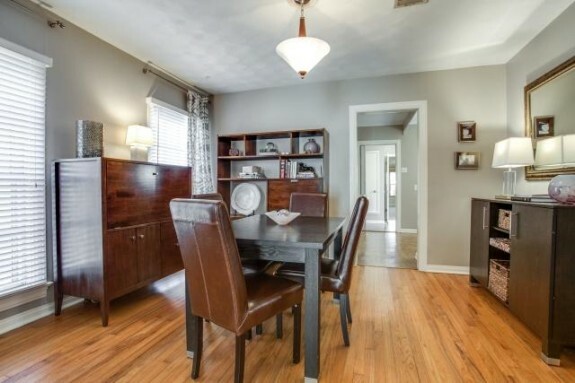 If you’re ambitious, you could expand the kitchen into the formal dining room and open the entire area up. 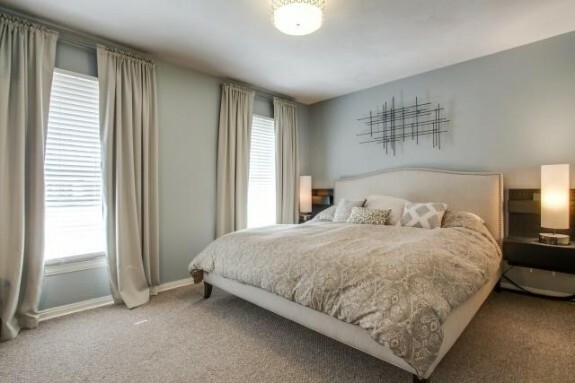 There’s a den, and the master suite features a living area, too. With three bedrooms and two baths, there’s plenty of room for a family. 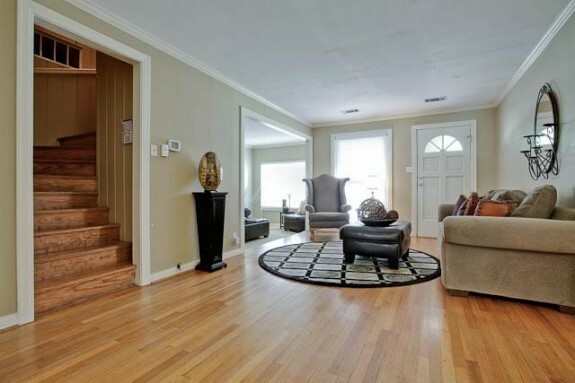 And with the hardwood floors, tons of great built-ins, this home will have room to grow. 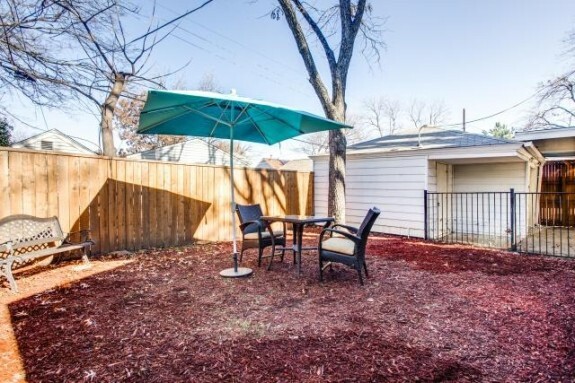 The backyard features a huge deck and separate fenced-in area, perfect for a family with a couple of pooches. What do you think of this home? I so wish I was house hunting right now, because this adorable two-story cottage in Stonewall Terrace would definitely be in my top three. Usually it takes FOR. EVER. to find a home that looks as good on paper as it does in person, and this cutie is just perfect for a young family that wants access to everything. 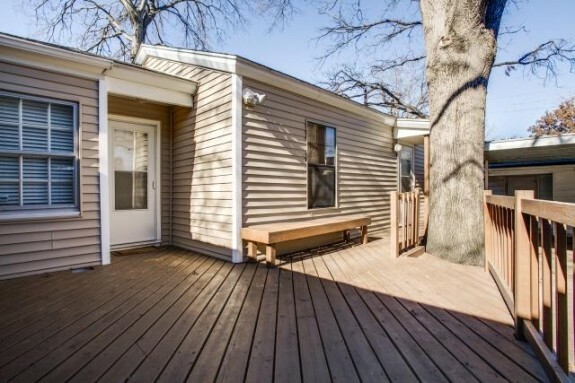 With three bedrooms, two baths, and plenty of living space, this house has room enough for a family of three or four. 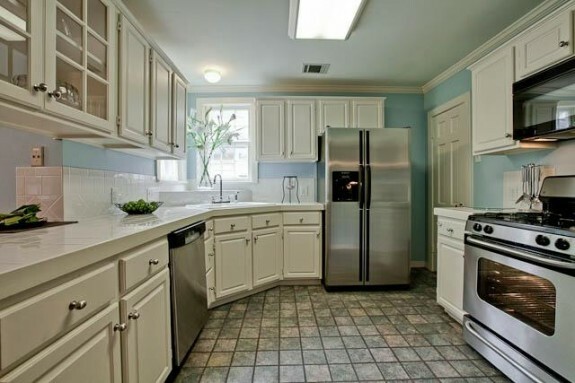 Built in 1940, 5922 Winton (which is marketed by Jennifer Ackerman of Virginian Cook Realtors) has been updated quite a bit throughout its 2,000 square feet. It’s just been reduced to a very competitive $305,000, too! 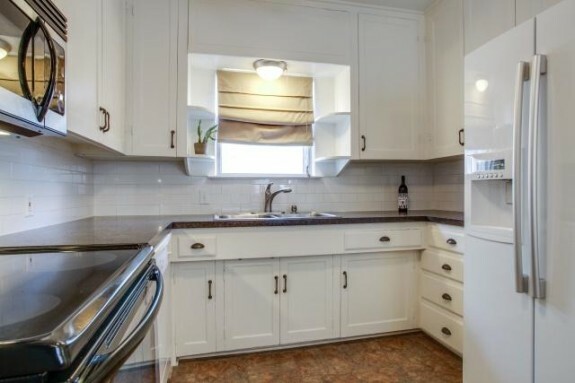 Even though the kitchen is on the small side, it’s adorable and has stainless steel appliances and a great breakfast nook that would be perfect for a booth or a table with benches. 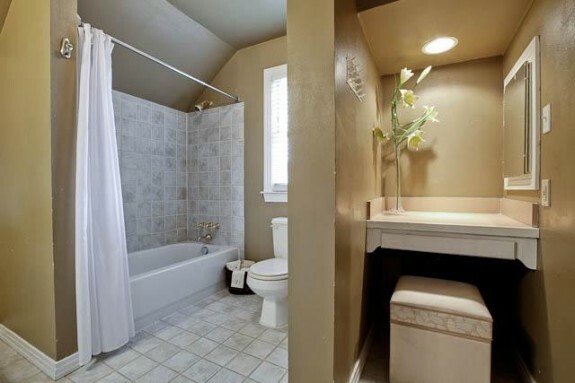 The master suite, which I believe is upstairs, has a newer bathroom and a sitting area. The downstairs bathroom, which appears to be original to the house, features shades of pink and burgundy with hex tile lining the floor. The backyard, well, if you’re a gardener, this house is for you! There’s already a huge raised bed for veggies, and there’s tons more room to add to that. 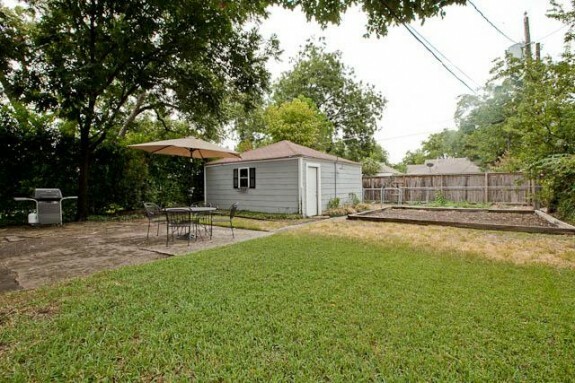 There isn’t much in the way of landscaping, either, and with a privacy fence, this backyard could be a great retreat. 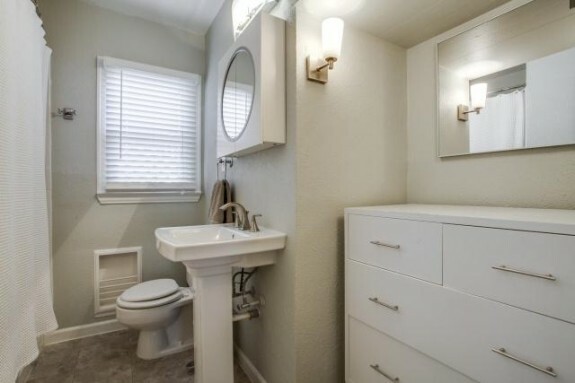 The real selling point to this house is its location, though. You’re seconds, practically, from great shopping and nightlife on both Mockingbird Lane and Greenville Avenue, and you’re inside the Stonewall Jackson Elementary School attendance zone. You’re 10 minutes from downtown, less than 15 minutes from Uptown, and you’re within walking distance of mass transit. Sounds like it’s worthy of the short list to me!